Find Out when it will be available. We'll be happy to let you know as soon as it is available. Just enter your name & email address. We'll let you know the minute this item is back in stock! 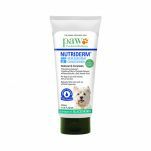 PAW NutriDerm Replenishing Dog Shampoo is sulphate free, moisture rich shampoo oatmeal dog shampoo. Suitable for dogs with dry or itchy skin or sensitive skin and paws, this advanced dog shampoo formula is pH balanced and veterinary recommended. Hypoallergenic, sulphate free and soap free cleansers: for an effective, gentle clean without stripping natural oils from the skin. Colloidal oatmeal: for immediate soothing effect on the skin. Key moisturising nutrients including rosehip oil and vitamin B5 to optimise skin hydration and maintain the skin barrier. No artificial fragrances: for a natural fresh scent. For optimal performance NutriDerm Replenishing Shampoo should be used in conjunction with the NutriDerm Replenishing Conditioner. We despatch most orders on the same day you place your order. We strive to make your delivery faster than you can get anywhere else online. We'll provide you with a tracking number so you can track your delivery online. Order before 2pm to ensure your order goes out today. Regular Delivery by Australia Post Parcel Post is $9.95. Express Delivery by Australia Express Post is $14.95. Express Post delivery is guaranteed next business day within the Express Post network. The Express Post network covers most metropolitan areas accross the country. If you aren't sure if your address is within the network you can check on the Auspost website. If you would like delivery outside Australia, we are happy to post things out to you. Please contact us for the shipping rates to your area. We want your dog to be comfortable. And we want you to be worry free. That's why we make returns so easy. If you purchase an item that is not the right size or fit, we are more than happy for you to return it for a refund as long as it is returned in a new, resalable condition with all packaging intact within 100 days. Just pop the item back to us in the post along with a note explaining the reason for return and we will refund your original purchase as soon as we receive the item you return. You can place a new order for the correct size / fit item on the website anytime. No fuss, no waiting. Feel free to give us a ring on 1300 725 781 if you have any questions about sizing. We're here to help. 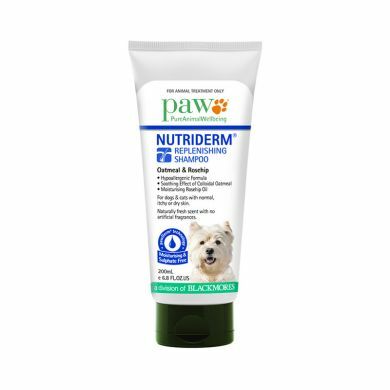 product announcements and canine news!